If you are looking for a great digital camera under five hundred bucks, you have to take a look at the Nikon Coolpix series! The series comes with a number of attractive digital camera models at affordable prices. Two of them are Nikon Coolpix L840 and Nikon Coolpix B500. These two digital cameras are available at similar prices. Hence, a lot of people tend to get confused in choosing between the two. In the following article, we are going to see in what ways do Nikon Coolpix L840 and Nikon Coolpix B500 differ from each other. 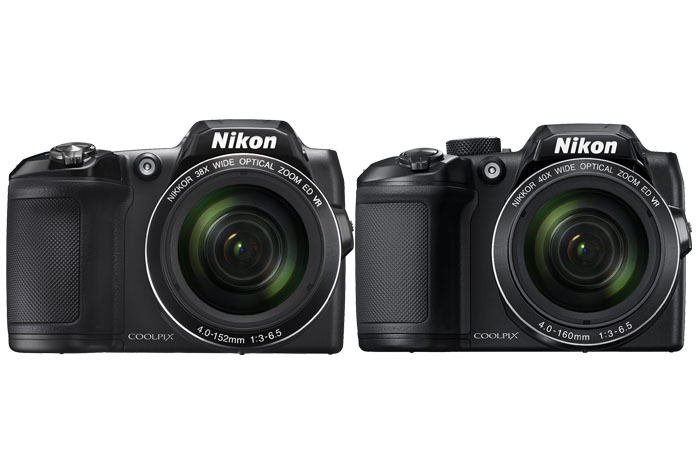 Nikon Coolpix L840 and Nikon Coolpix B500 actually come with a very similar design. Both are very compact and lightweight, making them portable, easy to be brought along in your travels, as well as easy to handle. Nikon Coolpix L840 is a little bit thicker and heavier than Nikon Coolpix B500, but the gap is not significant. They each has a textured gripping area for solid handling, a large tele lens on the front, and a 3.0-inch color display screen plus dial controls on the rear. Unfortunately, neither of them is environmentally sealed, so be careful using them under the weather. Each of them is available in two colors: black and red. Nikon Coolpix cameras are very popular due to their excellent performance and output quality despite the affordable prices. The same is going with Nikon Coolpix L840 and Nikon Coolpix B500. They each is armed with a 16 MP 1/2.3” CMOS image sensor that is capable of capturing sharp and crisp images with decent solid colors. However, the two models do come with different features. Nikon Coolpix L840 boasts the 6,400 max ISO, which is twice of Nikon Coolpix B500’s max ISO. Also, Nikon Coolpix L840 offers the NFC connection for easy file sharing across different devices. On the downside, Nikon Coolpix L840 ‘only’ comes with a 23-855mm F/3.0-6.5 lens capable of providing up to 38x optical zoom. Nikon Coolpix B500 offers a more powerful lens, a 23-900mm F/3.0-6.5 lens, which can give you a maximum optical zoom of 40x. This feature can be beneficial for those who often work with long-range photo shooting, such as in sports and wildlife photography. Though Nikon Coolpix B500 doesn’t have the NFC connection, it already has built-in Wi-Fi. In general, Nikon Coolpix L840 is the best way to go. It comes with a higher maximum ISO and NFC connectivity.